The first recording of the human voice on a magnetic medium was over 115 years ago. Since then many technologies and materials for the recording of audio, video, computer memory and a host of other applications have been developed. 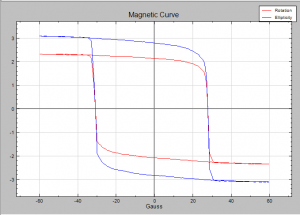 The rapid characterization of new materials for this purpose is critical to ongoing research and the magneto optic Kerr effect, or MOKE, has long been recognized as the preferred method for this characterization. In a MOKE system, a light beam is reflected off the surface of a magnetic film. The magnetization of the film causes an anisotropy in the alignment of the surface atoms and molecules that change the polarization state of the light reflected from the surface. 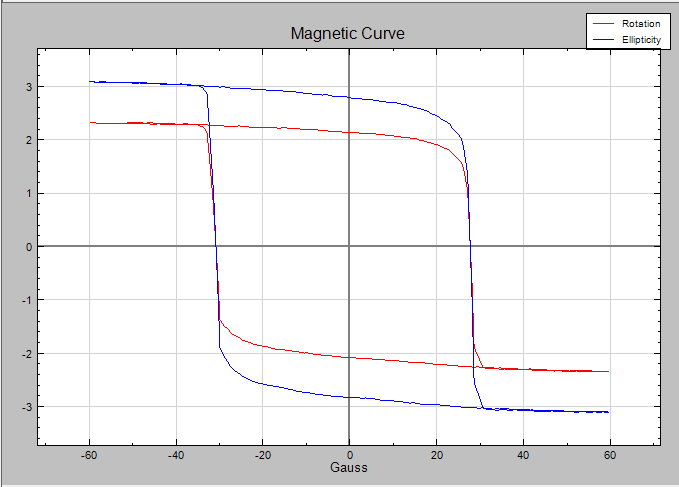 The sensitive detection of these polarization changes is the goal of Hinds Instruments’ PEM-based approach to this field. The PEM offers the most sensitive way to detect these changes. Hinds offers components and kits for the ideal MOKE set up for you. R. Atkinson, G. Didrichsen, W.R. Hendren, I.W. Salter and R.J. Pollard, "Dynamic in situ optical and magneto-optical monitoring of the growth of Co/Au multilayers", Phys.Rev. B, 62, 18, 12 294-12 302 (2000). R. Atkinson, "Dynamic in situ optical and magneto-optical monitoring of the growth of Co/Au multilayers", J. Phys. : Condens. Matter. 12, 7735-7745 (2000). Bennemann K.H., (Ed), Nonlinear Optics in Metals, Clarendon Press, Oxford, (1998). R. Atkinson, G. Didrichsen, W.R. Hendren, I.W. Salter and R.J. Pollard, "Dynamic in situ optical and magneto-optical monitoring of the growth of Co-Pd multilayers" J. Phys. : Condens. Matter. 13, 691-705 (2001).